Bible Cartoons: Zechariah goes green on BC website! 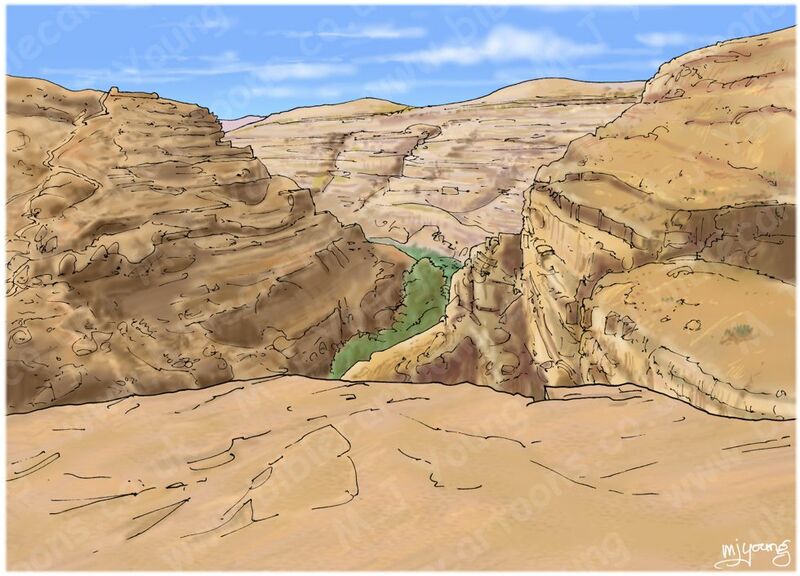 I have just completed my very first Bible Cartoon for the Old Testament prophet Zechariah. It shows the prophet standing talking to an angel, with 4 other angels behind them. 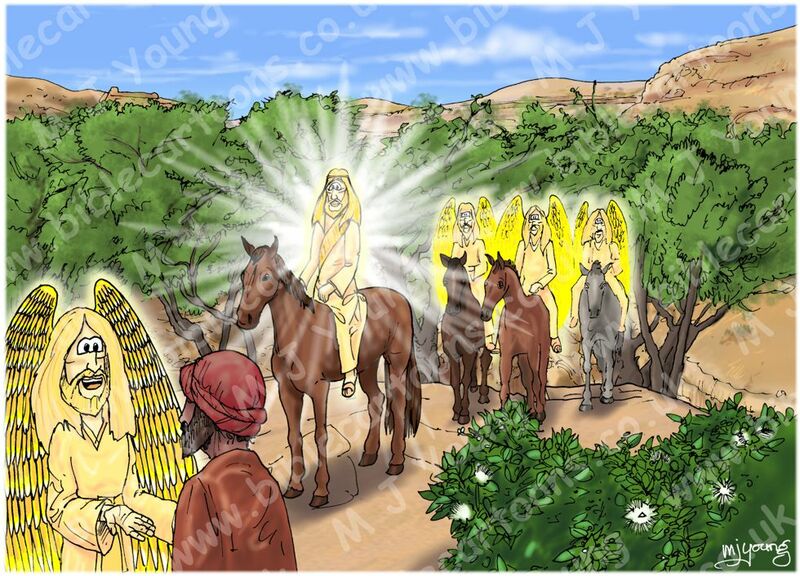 Many Bible commentators believe that the “Man on a red horse amongst the Myrtle trees” was the pre-incarnate Jesus.